Please note that this bike is in full working condition but has minor scratch damage from use and missing parts, as indicated in the product feature list and product images. The approach with the Agree C:62 SLT disc was totally uncompromising. For maintaining speed in any situation including flat-out racing, a Shimano Ultegra Di2 groupset with compact cranks. 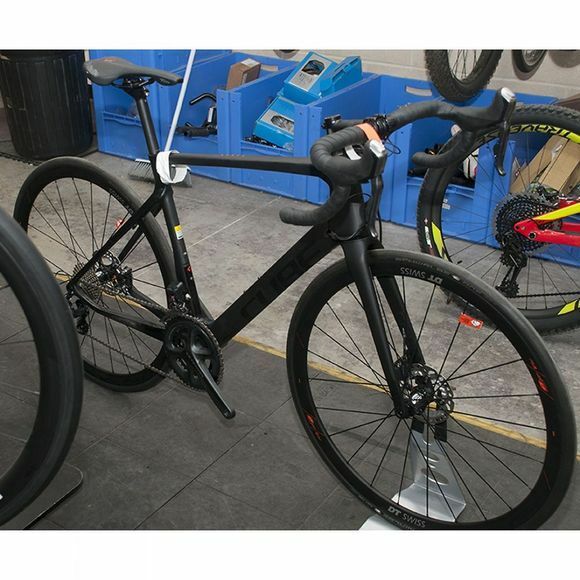 For enormous braking power, hydraulic disc brakes. Riders who want to beat their personal bests have all the tools at their disposal to smash it with this bike. 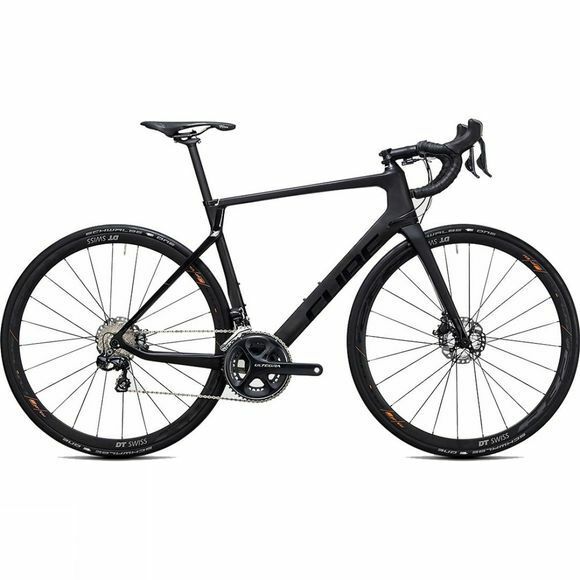 The centrepiece of the Agree C:62 SLT disc is one of the most advanced disc-compatible carbon frames available. The Cube engineers pulled out all the stops. Both front and rear wheels feature X12 quick release axles. The seat post clamp is aerodynamic and integrated into the seat tube. The head tube is tapered to improve steering precision. And the CLS Evo carbon fork with disc mount is a perfect match for the frame and offers amazing vibration absorption.